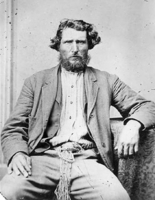 BEGG, ALEXANDER, teacher, newspaperman, office holder, rancher, and historian; b. 7 May 1825 in Watten, Scotland, son of Andrew Begg, a miller and crofter, and Jane Taylor; nothing is known of his first marriage; m. secondly 1858 Emily Maria Luke in Brockville, Upper Canada, and they raised eight sons and five daughters; d. 19 March 1905 in New York City and was buried 22 March in Orillia, Ont. Spending his formative years in Scotland, Alexander Begg received a private elementary education and later attended Watten parish school. At 18 years, he went to Edinburgh Normal School and obtained a teacher’s diploma. He afterwards taught at Cluny, Aberdeenshire. In 1846 Begg embarked upon an enterprising, eventful career when, like some of his schoolfellows, he emigrated to Belleville, Upper Canada. Initially he taught public school in Huntingdon and Madoc townships and at Oshawa. Turning to journalism in 1850, with James E. McMillan he published the Bowmanville Messenger, that town’s first newspaper. In 1853 Begg set up the Brighton Sentinel and the next year he founded the Trenton Advocate, which he sold in about 1855 to his brother Peter. After a visit to Scotland, he took up successive positions as a customs officer at Morrisburg, Port Dover, Brockville, and Cornwall. In 1869 the dominion Department of Inland Revenue made him collector of customs and inspector of inland revenue in the North-West Territories. He accompanied Lieutenant Governor William Mcdougall’s ill-fated expedition to Pembina (N.Dak.). When anti-Canadian settlers at the Red River settlement (Man.) wrongly interpreted his presence as an appointment to the prospective council, the department transferred him to an Ontario position. Dissatisfied, he left the civil service. In the 1870s Begg extended his interests to emigration, colonization, and boosterism. In 1872, as Ontario’s emigration commissioner in Glasgow, he lectured around Scotland and is said to have persuaded thousands of crofters to move to Canada. He returned to Ontario when a change in policy eliminated his post. In 1874 Begg founded a temperance colony in the Parry Sound district, providing grist-, saw-, and shingle-mills at Beggsboro (near Burk’s Falls) for employment. He became editor and joint owner of Bracebridge’s Muskoka Herald in 1878 and, two years later in Toronto, he started the Canada Lumberman, which remained influential for decades. During a European trip, Begg installed at the 1878 universal exposition in Paris a prize-winning display of a landau built in London, Ont., and a sleigh built in Orillia. He also successfully transported live black bass from Muskoka to Paris, Scotland, and England. 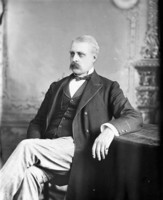 Throughout the 1880s Begg participated in the development of what is now Alberta and British Columbia. In 1881, as a Toronto Daily Mail correspondent, he went by rail and steamer through the American west to Fort Benton, Mont., and by horse to Fort Macleod (Alta), where he reported on a meeting between Governor General Lord Lorne [Campbell*] and an assembly of Blood, Peigan, and Blackfoot including Crowfoot [Isapo-muxika*]. After visiting Morley, where his son Magnus was a farm instructor for the Stoney, he travelled as far as the Rocky Mountains and then returned to Brandon, Man., and the recently arrived Canadian Pacific Railway. His enthusiastic assessment of the northwest was published under the pen-name Julius by the Montreal Gazette and also appeared as two chapters of Manitoba and the great north-west. His authorship of this material, which is sometimes attributed to another Alexander Begg*, is confirmed by the book’s title page, which notes that the author “spent the season of 1881 examining [Montana and the Bow River district] with a view of establishing a Ranche.” In 1882 Begg and another son, Robert A., set up Dunbow Ranch at the forks of the Bow and High (Highwood) rivers in Alberta with imported sheep, horses, and cattle. Five years later Begg joined his son Roderick, who worked in Victoria for the Daily British Colonist. 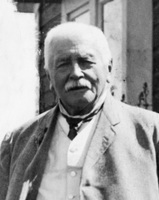 Between 1887 and 1893 Begg again directed his energy towards emigration from Scotland. Philanthropic considerations, career ambitions, and eagerness to share in British Columbia’s rapid economic expansion heightened his strong sense of Scottish patriotism and kinship, which also led him to found a Sir William Wallace society in Victoria. He successfully approached the provincial government of Alexander Edmund Batson Davie* for appointment as emigration commissioner to place a colony of Scottish crofter fishermen on the Pacific coast. He adopted the style “crofter commissioner” or “C.C.” to distinguish himself from his namesake, who also lived on the west coast at this time. Encouraged to persevere by the British government’s commitment to a loan, Begg eventually organized a “gigantic scheme” for settling 1,250 families on Vancouver Island and for employing them in a deep-sea fisheries development. Although leadership changes in London and Victoria, opposition in Scotland and British Columbia, and investors’ indifference resulted in the abandonment of the project, publicity about Begg’s plans encouraged independent Scottish emigration to Canada. While promoting the scheme, Begg supervised in 1891 and 1892 the installation of a British Columbia exhibit at the Imperial Institute in London and published in 1894 the province’s “first continuous history,” which was later recommended for use in public schools. Spending his last years mostly in Victoria, Begg devised other colonization and business initiatives and wrote. He published an early description of William Duncan*’s missionary work at Metlakatla, and, as a corresponding member, he frequently contributed to the Royal Geographical Society’s journal. During the period 1894–1903, motivated by economic developments in the British Columbia interior and the Klondike, Begg researched the history of the Alaska boundary issue and advanced a position defending Canadian interests that was based on an 1825 treaty between Russia and Britain. Despite lengthy submissions he made to Ottawa and Victoria, his efforts met with disappointment in 1903 with the international tribunal’s decision favouring American claims. Between 1896 and 1904 Begg’s schemes to settle immigrants and develop fishery and timber resources at Hardy Bay on Vancouver Island and to open up northern British Columbia with the Stikeen and Teslin Railway, Navigation, and Colonization Company both collapsed. Even his plans to turn Victoria’s Mount Douglas into a tourist resort failed. By 1903 Begg had moved to New York City, where six of his children pursued professional careers. After he died Mrs Begg, who had lived much of her married life in Orillia, remained in New York until her own death in 1932. A Liberal in politics and a Presbyterian in religion, “the indefatigable Mr. Begg” was one of the itinerant, many-sided “makers of Canada” so typical of the 19th century. Although his life’s work was unspectacular, he made a lasting contribution to Canadian journalism, settlement, and historical writing. 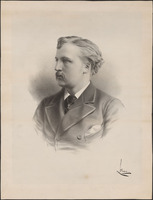 Alexander Begg’s publications include Letters on the situation in the north west, by Julius, as they appeared in the Montreal “Gazette” ([Montreal], 1881); the chapters “Stock raising in the Bow River district compared with Montana” and “The western Indians and the North-West Mounted Police” in John Macoun et al., Manitoba and the great north-west: the field for investment; the home of the emigrant, being a full and complete history of the country . . . (Guelph, Ont., 1882), 269–81 and 569–78, respectively; History of British Columbia from its earliest discovery to the present time (Toronto, 1894; repr. 1972); Report relative to the Alaskan boundary question (Victoria, 1896); A sketch of the successful missionary work of William Duncan amongst the Indian tribes in northern British Columbia, from 1858 to 1901 (Victoria, 1901); and Statement of facts regarding the Alaska boundary question, compiled for the government of British Columbia (Victoria, 1902). BCARS, D-19, Alexander Begg file, including Roderick Begg, biog. of Alexander Begg (1937), and letter from Maxwell Tobey to Madge Wolfenden, 26 March 1938 (mfm. ); GR 486. City of Vancouver Arch., Add. mss 181 (Alexander Begg papers). Scottish Record Office (Edinburgh), AF 51/55, AF 51/151–56 (Crofter Settlement Scheme papers) (mfm. at BCARS). Daily Colonist (Victoria), 21 March 1905: 5. Victoria Daily Times, 21 March 1905: 7. Canadian men and women of the time (Morgan; 1898). Cyclopædia of Canadian biog. (Rose and Charlesworth), vol.2. Marjorie Harper, Emigration from north-east Scotland (2v., Aberdeen, Scot., 1988), 2. Kerr, Biog. dict. of British Columbians. Standard dict. of Canadian biog. (Roberts and Tunnell), vol.1. Thomas, Struggle for responsible government in N.W.T. (1956). Jill Wade, “The ‘gigantic scheme’; crofter immigration and deep-sea fisheries development for British Columbia (1887–1893),” BC Studies (Vancouver), no.53 (spring 1982): 28–44. Madge Wolfenden, “Alexander Begg versus Alexander Begg,” BCHQ, 1 (1937): 133–39. Jill Wade, “BEGG, ALEXANDER (1825-1905),” in Dictionary of Canadian Biography, vol. 13, University of Toronto/Université Laval, 2003–, accessed April 24, 2019, http://www.biographi.ca/en/bio/begg_alexander_1825_1905_13E.html.